What a lovely family! They are so cute and adorable. And of course, I adore Wendy and Peter Pan... Wonderful! the stroller are very nice....fabulous!! I love the little giant. One big happy family~ even the little kids are dressed in cute clothes! I love!love!love the happy family! 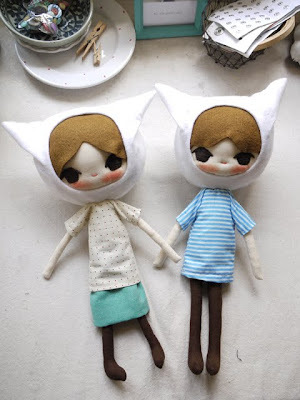 You should make lots of tiny dolls too! They are gorgeous! 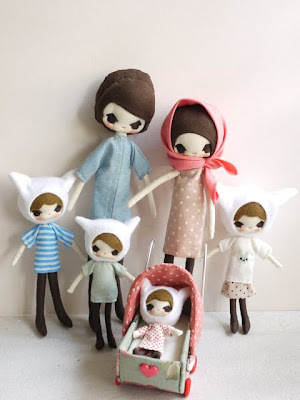 walaueh...tat big familly so cute neh!! y u call them GIANT? I can't wait for Peter and Wendy to get here!! !